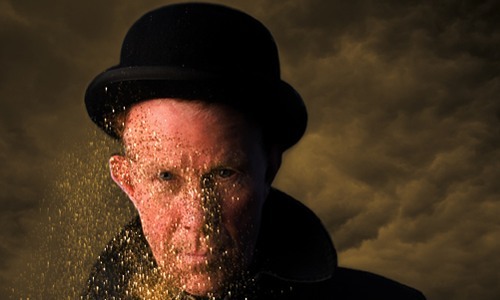 Tom Waits will be starring alongside Colin Farrell, Sam Rockwell, Christopher Walken, and Woody Harrelson in the upcoming film Seven Psychopaths. The film centers on Farrell playing “a struggling screenwriter who inadvertently becomes entangled in the Los Angeles criminal underworld after his oddball friends (Rockwell, Walken) kidnap a gangster’s (Harrelson) beloved Shih Tzu.” Waits’ role has yet to be announced. In Bruges director Martin McDonagh will be directing the new film. He could not have asked for a better cast for his new “blood-drenched, black comedy”. There is no set release date for Seven Psychopaths, but filming began on November 7th. Waits is better than ever at age 61, releasing one of the year’s last month with his seventeenth studio album, Bad As Me. He is no stranger to the big screen, appearing in over thirty films that include Coffee and Cigarettes, Wristcutters: A Love Story, and The Book of Eli. I think he should even more movies.